If John Isner wants to claim his fourth consecutive BB&T Atlanta Open, he will have to watch out for the “dark horse” on the opposite end of the draw, Aussie Nick Kygrios. 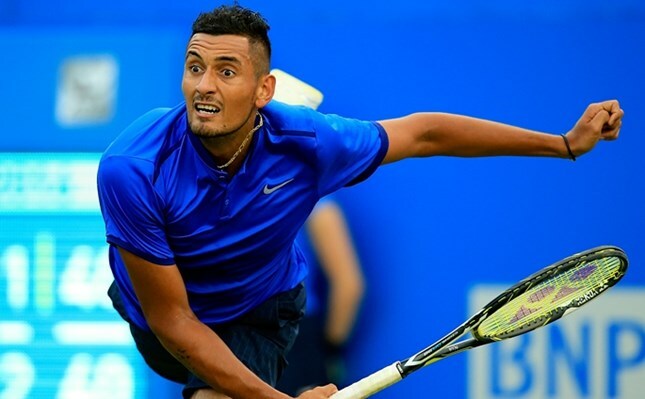 Leader of the ATP’s Next Generation, Kygrios crashed the scene in 2014 as the former world No. 1 junior and a 144th-ranked wild card at Wimbledon that year. The world took notice when the young Australian ran to the fourth round, hitting an array of trick shots and 37 aces before dismissing the then world No. 1 Rafael Nadal in four sets. Since the upset, Kyrgios has reached the 2015 Australian Open quarterfinals and clamed his first singles title this year in Marseille. Before claiming the title, Kygrios had to make it through Richard Gasquet, Tomas Berdych and Marin Cilic, while holding all 47 of his service games during event. In his first Atlanta appearance, the 21-year old is sure to be a fan favorite.